Billy Sorrells has been described as the quintessential perfect storm. Since setting up shop in Los Angeles this year, the actor, stand-up comic and independent filmmaker has emerged as an entertainment goldmine and the most talked about triple threat in La-La Land.Sorrells is best known for his role as “Peaches” in the popular “Sh-t Black Girls Say” series of Youtube parodies, which have amassed a staggering 15-million total views and counting. With the door of opportunity flung wide open to develop more groundbreaking content, the break out artist and businessman is partnering with Entertainment giant Black Entertainment Television (BET) on a new project destined to become the virtual jewel in his extensive repertoire.The web series, called Office Code BET is the brainchild of Sorrells and writer/comedian Donte Barrett. The two found a way to transform typical workplace comedy shtick by adding a new dimension of original, humorous themes and shrewdly creative writing to introduce a flagship online sketch series that cleverly mocks the most outrageous, unacceptable office behavior. BET expects the revolutionary web-based show will ride the groundswell of successful projects already developed by Sorrells’ Aerion Studios, including the “Press Play” initiative also developed for BET. The interactive, sharable content series is the first of its kind and if the demand for “Press Play” is any indication, Sorrells and BET have another blockbuster hit on their hands. 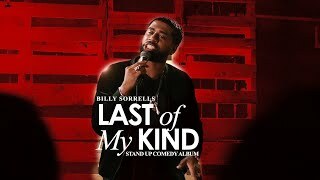 The Viacom-Owned cable network is placing major bets on Sorrells’ talent, tapping him as a correspondent on their Red Carpet during BET Awards 2012. His track record so far all but guarantees BET will reap lofty returns on every investment.